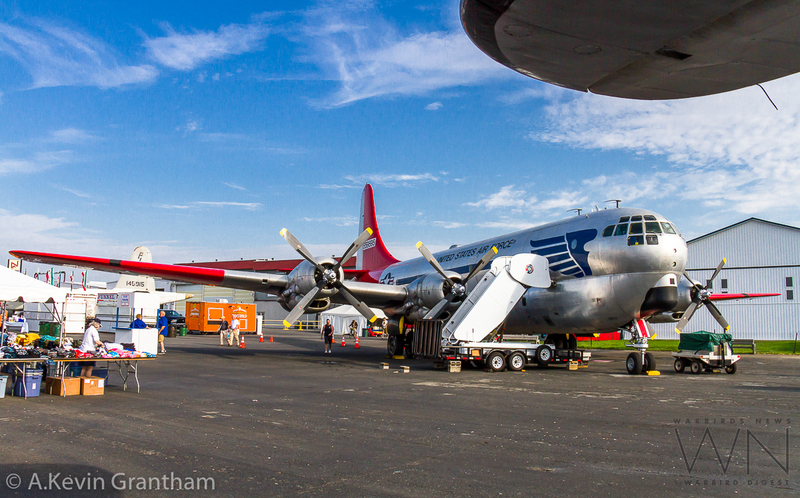 Our one of a kind only flyable Boeing C-97G in the world has been parked in Reading, Pennsylvania since November 7, 2017, awaiting the completion of various Phase Two projects. This massive project to get it flying took 17 years to make it happen, so waiting is nothing new when dealing with real world issues, including receiving needed funding. What is Phase Two for the C-97 project? Well its very simple to explain. Phase one was get out of New York. This was accomplished on November 7th, 2017. 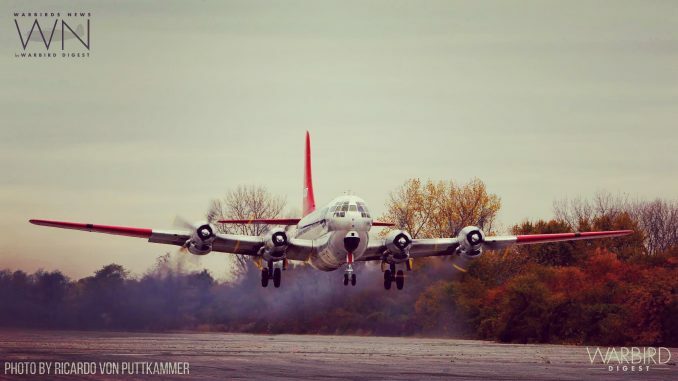 Phase Two is the fine tuning of operating the C-97 to meet the goals of the Foundation. This includes correcting maintenance discrepancies, improving communications between crewmembers by upgrading the Intercom system to a 6 station system, designing and installing a better way for visitors to board and deplane, and fly a few local training flights to gain operational flight experience for selected Foundation flight crewmembers and to gain confidence in the C-97. We are happy to report great progress has been made with the 6 station intercom system as well as the design of two portable boarding stairs that will be carried on the board for C-97 missions. 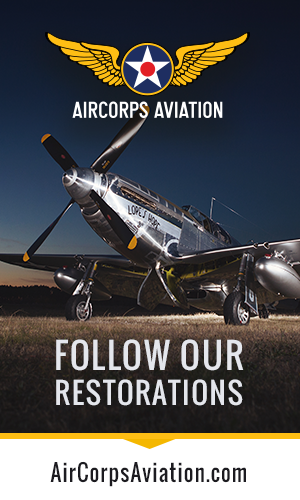 Once the Intercom is completely installed and several maintenance discrepancies corrected, we will be able to begin flight training. 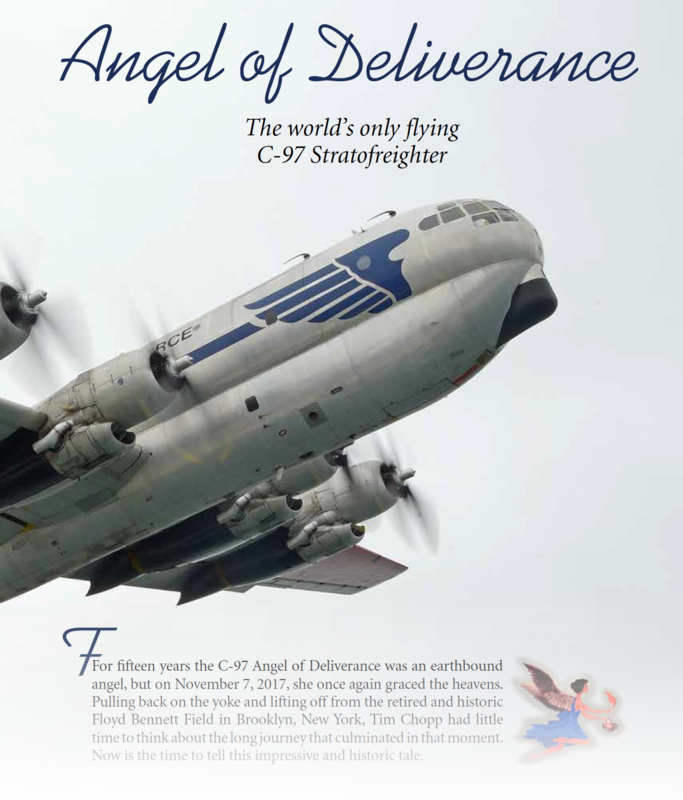 As readers will remember, our sister publication, Warbird Digest published a feature article on the restoration and first flight of the Berlin Airlift Historical Foundation’s C-97, complete with some magnificent air-to-air photographs of her ferry flight to Reading within Issue #76. For those interested in reading the article, back copies of the magazine are available at the link below (click on the image).